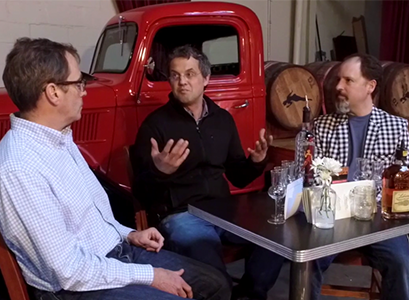 Valentine Distilling's Rifino Valentine talk about the craft of making great distilled spirits. To learn more about Valentine and the spirits, visit their website at Valentine Distilling. (14:15) "This is a brown spirit." (09:59) "We start with our traditional Liberator Gin." (17:00) "Where can we get this?"